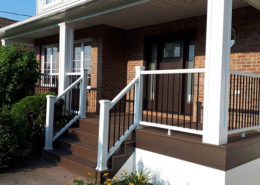 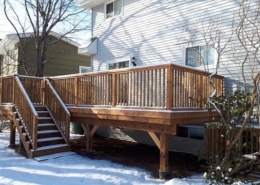 This homeowner had an unsafe deck that had various additions to it over the years. 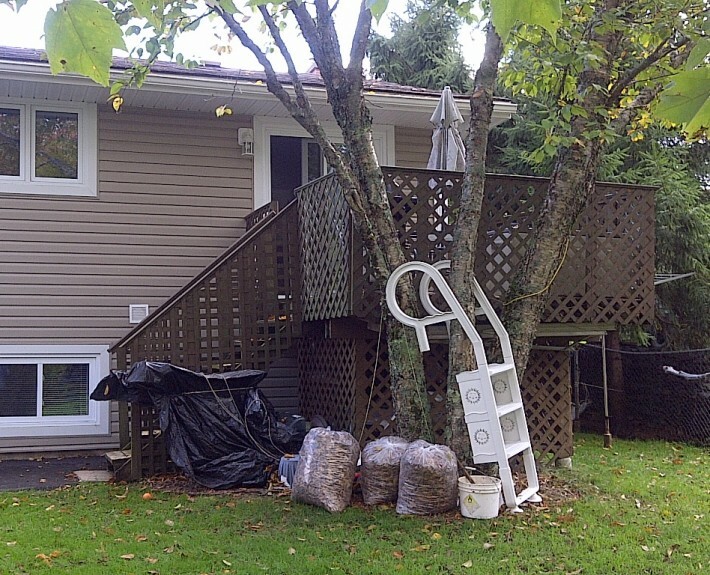 We had to contend with a large mature tree right at the edge of the current deck. 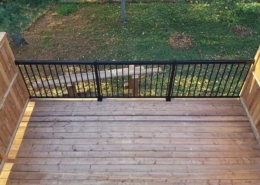 We not only made the new deck safe, but we gave them more room, a modern look and a low maintenance product. 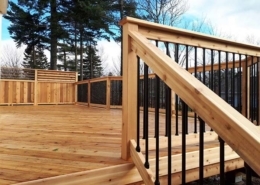 This deck entails a PVC decking system, vinyl rail, vinyl skirting and an access gate for storage. 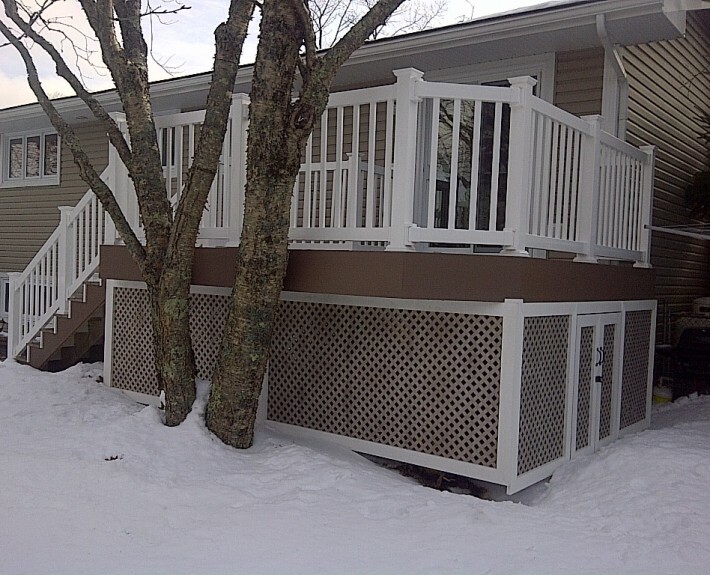 We also installed a dry space system under the joists to shed water away from the stairwell running under the deck.